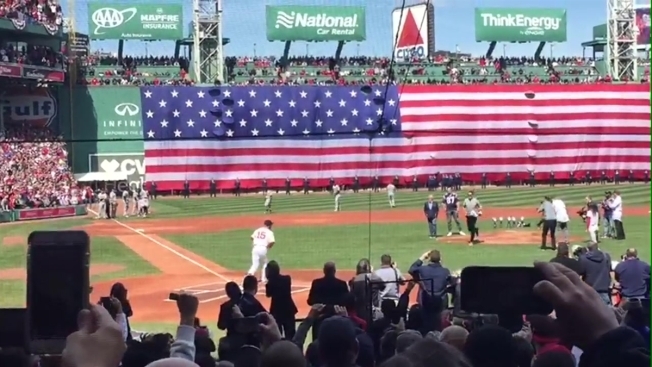 New England Patriots star quarterback Tom Brady threw the first pitch of the Boston Red Sox' 2017 season Monday afternoon. The joint championship party at Tuesday's Red Sox home opener -- where both the Patriots and their hosts will be feting 2018 titles -- won't be attended by Patriots quarterback Tom Brady, coach Bill Belichick or owner Robert Kraft. Click here for Phil Perry's Patriots seven-round mock draft 4.0.